We are delighted to announce we have a new Class Series for both Beginners and Intermediate. Join others as they learn the fine, messy, and fun art of "throwing mud." This Class Series fills up fast. Watch for updates on our Facebook page - or - Sign Up for our Newsletter. 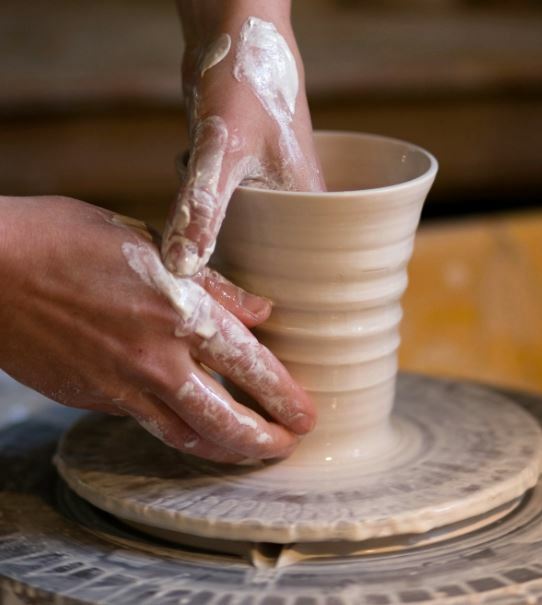 For the students who are ready to take their pottery skills to the next level, we are honored to offer you our Intermediate Pottery Class Series. In this series, you will continue to build additional knowledge of slab work, wheel work, glazes and firing. Materials: $30 made payable to the instructor. This covers clay, glazing, firing, and all other tools needed. Fall Classes are In Progress. Next Series begins Jan 6th, 2019. If you haven't taken our Beginners class, please start there. If you've taken some pottery classes elsewhere, please give our Clay Studio Director, Tanya Lana, a call at 303-331-7000, to discuss your level and ensure you are in the class best suited for you.